Excuse me? Excuse me? Lucky? I am not lucky. Give me my dignity back and just walk away. I am a human being. My life is a blessing and maybe adoption was my destiny, but luck? I am grateful, beyond words, which is saying something, because words are my specialty, but my life was destined for so much more than luck. My parents choosing me, my mother adopting me, my brother and I growing up to be fairly normal, mildly successful adults, (I mean for lost twenty something’s in the twenty-first century anyway,) that was damn hard work. 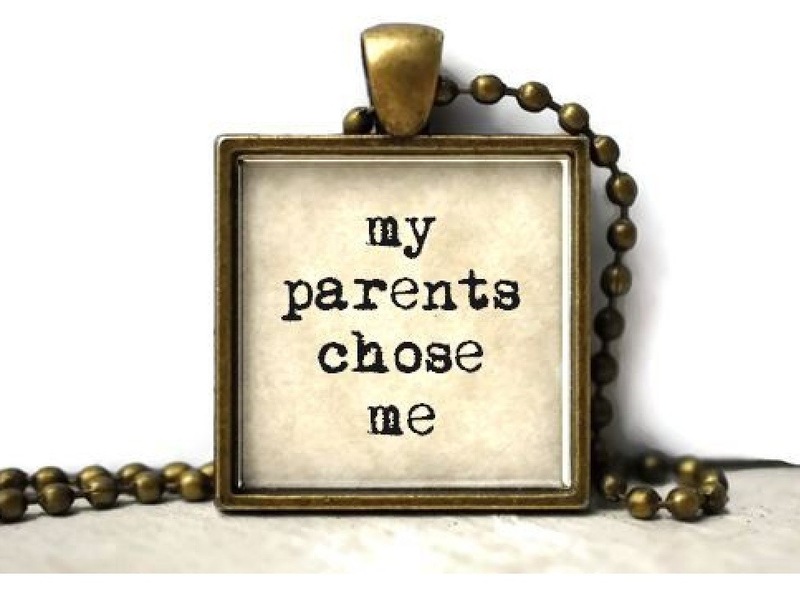 I owe my parents a lot, but I have never thanked them for adopting me, nor do I expect I will, but thank them for being my mom and dad, I do that as often as I can. I am not alive and thriving in this crazy-unpredictable world because I got lucky, but rather because God has blessed me with a loving family, the details are rather unnecessary. Tags: adopted, adoptee, adoption, birth mom, birth parents, coming of age, destiny, fate, My Story, real mom, superman | Permalink.